Are any of you music fans or rather some kind of a couch potatoes? In both cases, here is a guy you have to know! 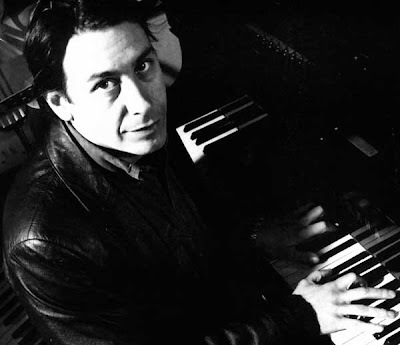 Mr. Jools Holland could indeed be described as a multi-talented person: he is a musician, TV presenter, author, actor and most of all a man with a heart. So let us introduce him! Julian Miles Holland was born on the 24th of January 1958 in Blackheath, South-East London. In his early childhood, he developed a strong interest in music and by the age of eight, he could perfectly play the piano. In his teens, he regularly appeared in London pubs and became a founding member of the band “Squeeze” in which he played the keyboards. In 1987 he founded the Jools Holland big band (later called the “Rhythm & Blues Orchestra”) which was quite successful. But as already mentioned, Jools has more than one string to his bow. Indeed, his TV shows are musts of British television. He started in the 1980s with a documentary in which he interviewed “the Police”. Between 1981 and 1986, he co-presented “the Tube”, a program which helped discover (then) young musicians such as Sting, David Gilmoure, Tom Jones and Bono. In 1988, he became a co-presenter of “Night music” on NBC, also a musical program. Since 1992, he started to host “Later… with Jools Holland” (a spin-off of “the Late Show”, as well as his exuberant annual New Year’s Eve “Hootenanny”. Another striking aspect in Holland’s career is his involvement in charity works. He, for instance, donated all proceeds of some of his concerts to the “Teenage Cancer Trust” and performed against AIDS. He also played at the tsunami Relief concert of 2005. On top of all that, Jools Holland is also known as an actor and author. What a man! He played in “Spice World” in 1997 (not to be proud of though…) and demonstrated his love of the series by starring a spoof documentary, “The laughing prisoner”, with Fry and Laurie. He wrote his autobiography, “Barefaced Lies and Boogie Woogie Boasts”, in 2007. His talent was officially recognized by the Queen in 2003 when he received an OBE for services to the British music industry as a television presenter and musician. Indeed, these two sides of his personality run parallel and strongly influence each other in every part of Holland’s career. Here is a video of a live performance by Radiohead on "Later with Jools Holland" 2008. Enjoy!